Rodgersia There is 1 product. 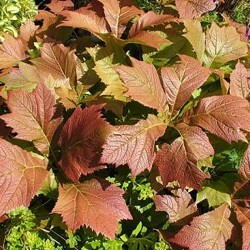 Excellent selection rodgersia keeps a bronze coloration pourre its foliage all summer long, purple-red fall color. Flowers in white panicles. Soil humus, rich and fresh.